There are only a couple of inks left in this Toucan set, and this is maybe the best of them. 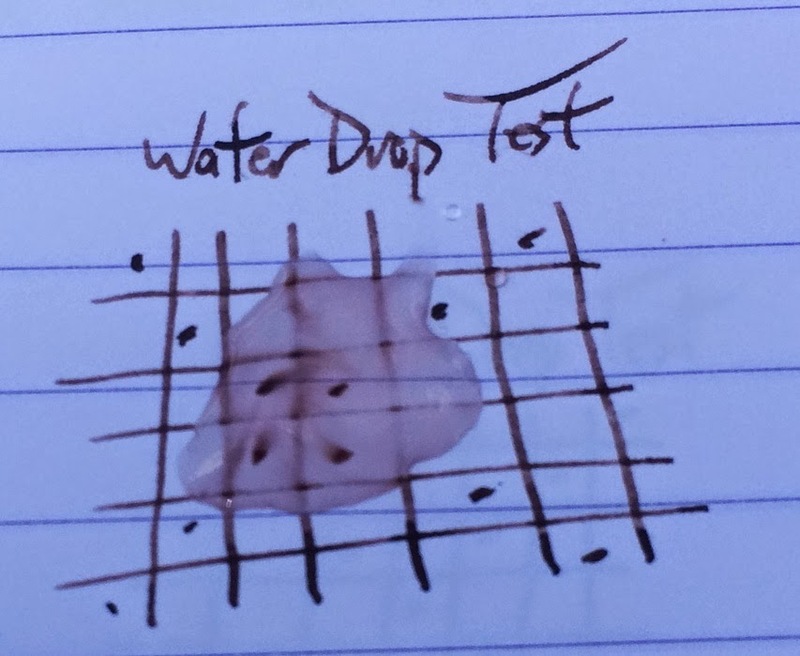 I've long had a thing for brown inks, and this one is excellent. It's a rich, nutty brown that behaves really well on copy paper and shades very well on good papers. 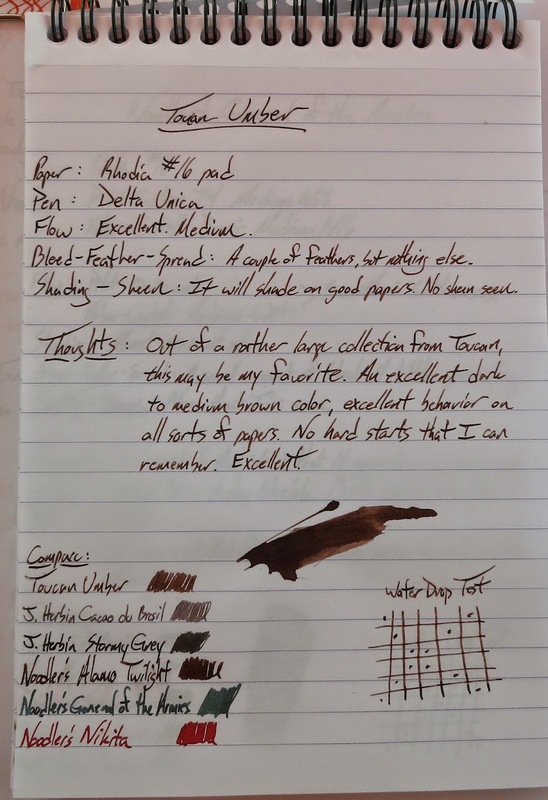 If you're at all into brown inks, this should be on your list. I didn't have any browns inked up (oddly for me), but Alamo Sunset might be closest. 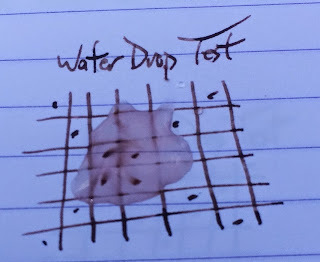 Also, man, I smudged the this part of the paper, right? Cool chromatography, right? Look't all them colors. It's like fall in your ink. This video is fancier than the others. I've just gotten a Mac, and I'm learning to use iMovie. TRANSITIONS! I really like this ink. If you only try one ink from this line, try this one. You can (only) find bags and samples over at Anderson Pens. A 60ml bag goes for $10. 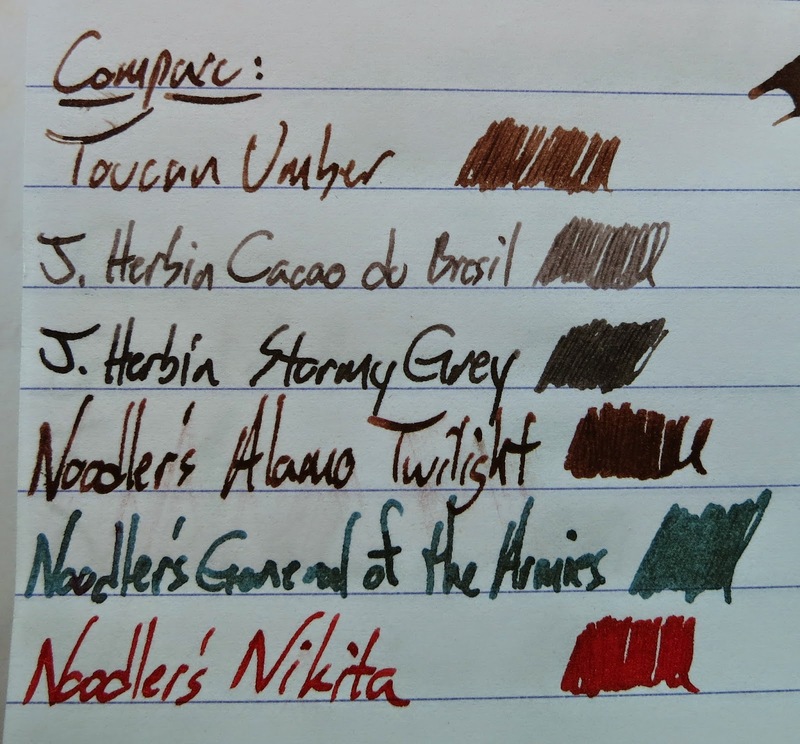 This is a great ink (if you like browns), and I'm confident in recommending it.